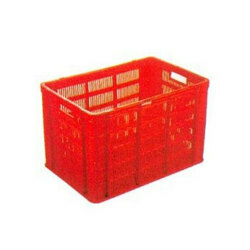 We are reckoned manufacturer, exporter and supplier of premium quality Stores Plastic Crate. The offered crate is manufactured using advanced machines in finest grade material in compliance with set industry norms. Our offered crate is widely in number of industries for storing fruits, vegetables and other products. This crate is made available in number of sizes, shapes and colour in order to meet vast necessities of our valuable clients. Note: Kindly find the PDF for more info.